Student can get fired up for the big homecoming game by coming downtown early for free food, pre-game spirit activities and give-a-ways. Free shuttles will depart from Sandburg and Cambridge starting at 4:30pm. Students are admitted free with valid UWM ID. 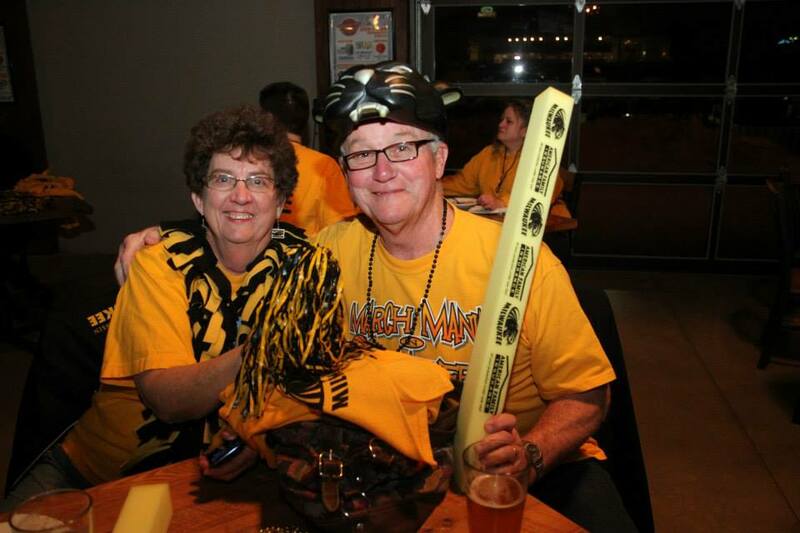 The Alumni Association will be hosting a Panther Bash Tailgate for alumni and fans at the Hyatt before tip-off. Enjoy a tailgate menu with a cash bar before making a fast break (no traveling!) across the street to cheer on the UWM Men’s Basketball team as they take on North Dakota at the Panther Arena beginning at 6:00pm. Tailgate package (includes one meal and game ticket) is $25. Already have tickets to the game? Purchase just the tailgate meal for $20. Register Here for the Panther Bash! For more information contact Bonnie Fuggiasco at fuggiasc@uwm.edu or 414-229-5305. Tickets and more information will be posted in early September. 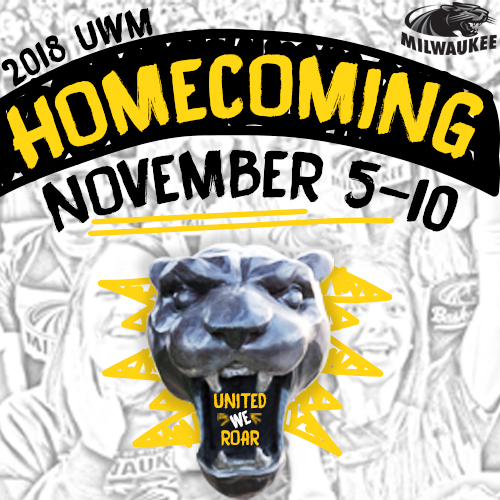 For questions or more information regarding the homecoming game contact Leah Thyne at thyne@uwm.edu or 414-229-2351. 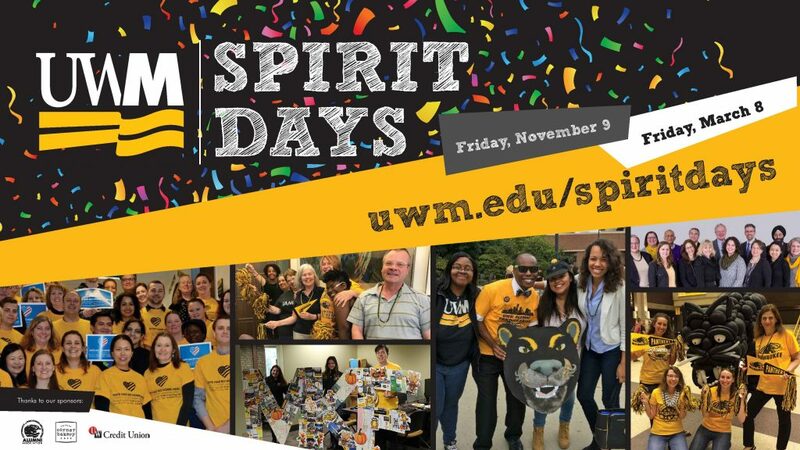 Led by our faculty and staff spirit liaisons, Black & Gold Spirit Days are designated days when offices and departments across campus celebrate UWM pride. Wear black and gold, decorate your office in Panther colors and compete for fabulous prizes by participating in fun, team-building campus activities. This year, the first Black & Gold Campus Spirit Day falls during the week of Homecoming – what a great way to show your UWM pride and get into the Homecoming spirit! 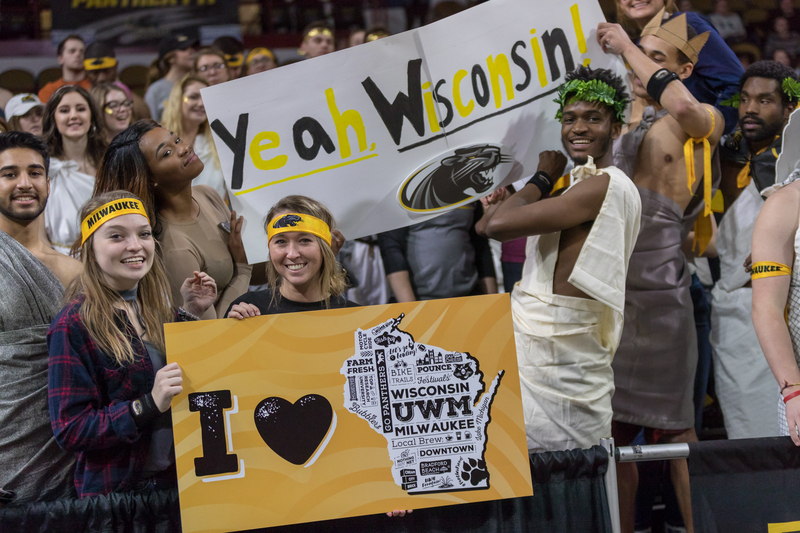 If you would like to learn more about Black & Gold Campus Spirit Days, get your department involved or become a spirit liaison, please contact Abby Strozinsky at strozins@uwm.edu or 414-229-3295. 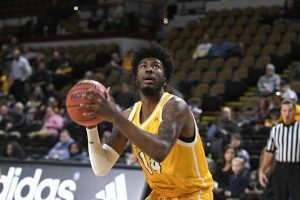 You can also learn more by visiting: https://uwm.edu/alumni/events/uwmspirit/.